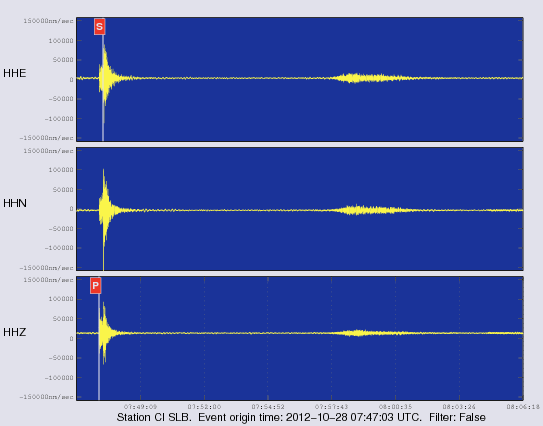 On Sunday October 28 2012 at 12:47 AM (PDT) we recorded an earthquake (preliminary ml 3.9) located near Idyllwild and within the San Jacinto Fault Zone. Initial source parameters for this tremor are indicated below. The epicentral distance (i.e. the distance separating the epicenter and the closest station in the recording network) for Anza is 4 km (0.04 degrees).